UK hotel chain Travelodge is currently going through a period of renovation as they update their amenities, which includes the launch of a brand new vegan and vegetarian menu in their new and improved Bar Café. 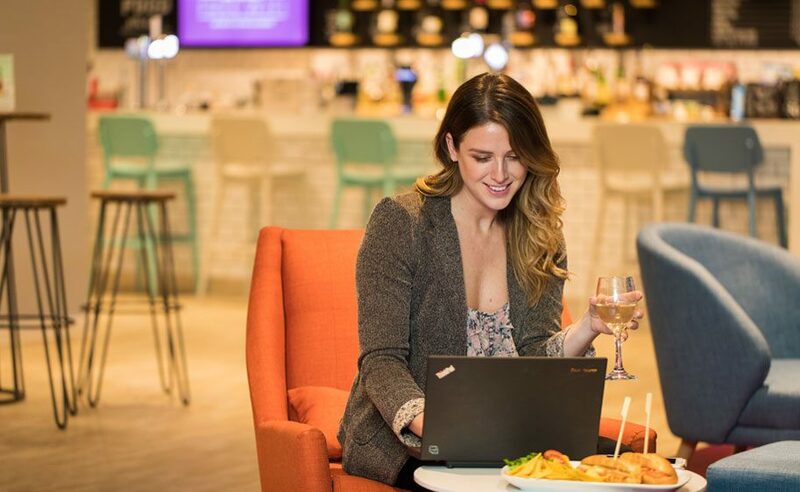 As part of their multi-pound renovation, hotel chain Travelodge has relaunched its Bar Cafe menu, which includes brand new meat-free options. Guests can feast on two courses for just £12 and can choose from several vegetarian options which are marked with a “V” symbol. However, vegans are encouraged to ask their server to ensure that these items do not contain animal products. There’s good news for those travelling with children as children aged under eight can eat for free. Vegan options include a falafel and veggie burger (no bun), skin on fries, house salad, roasted vegetable jalfrezi (no naan), and a superfood salad. The chain also offers guests the chance to indulge in “unlimited breakfasts,” which are complimentary for children. The breakfast menu is clearly labelled with bright green dots to clearly show which items are “suitable for vegetarians.” Whilst there are no dedicated vegan indications, many items on the menu are vegan-friendly such as baked beans, fruit salad, fresh mushrooms and tomatoes and toast with jam. The new improved dinner menu is the latest move in Travelodge’s “brand transformation programme” which aims to “give to customers a higher quality, improved experience”. The hotel chain says that it worked closely with its business, leisure and family customers to design its new menu, in order to capture the changing tastes of modern budget travellers, many of whom are now requesting vegan options as the demand for meat-free options continues to grow.